If you're looking for a stylish and original way to decorate any room i your home, then this is the decorative wall sticker for you! 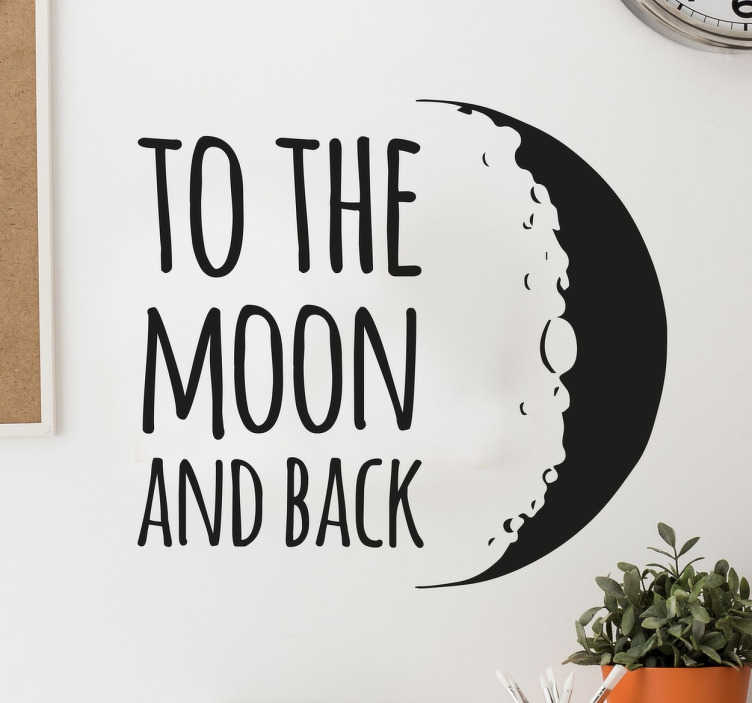 Featuring the monochrome design of a moon silhouette alongside the text "to the moon and back", a reference to the expression for loving someone to the moon and back. This high-quality vinyl is available in a variety of different sizes, and it's a sticker as easy to apply as it is to remove!